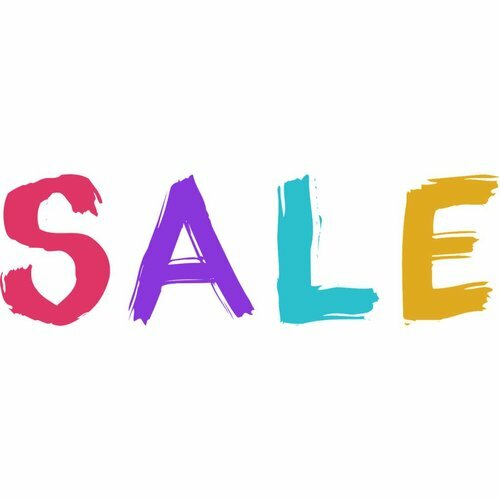 What can I use the Y4 tool for? 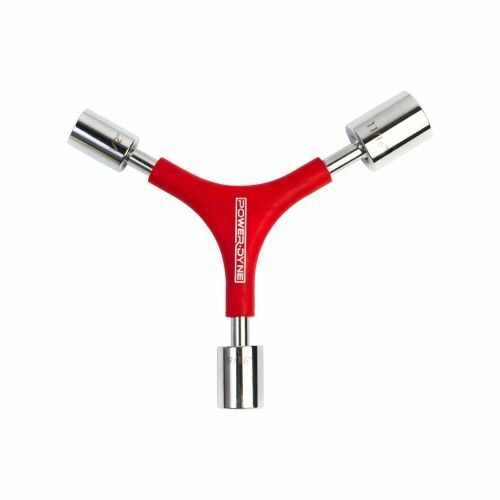 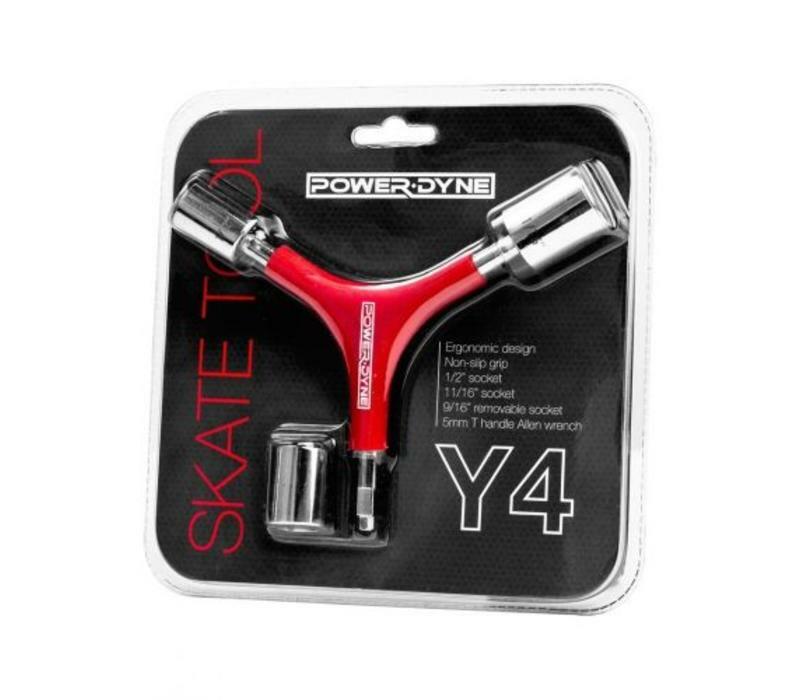 The Y4 tools is made of durable chrome plating (shiny and strong) and has an ergonomic design with a non-slip grip of grippy rubber coating. 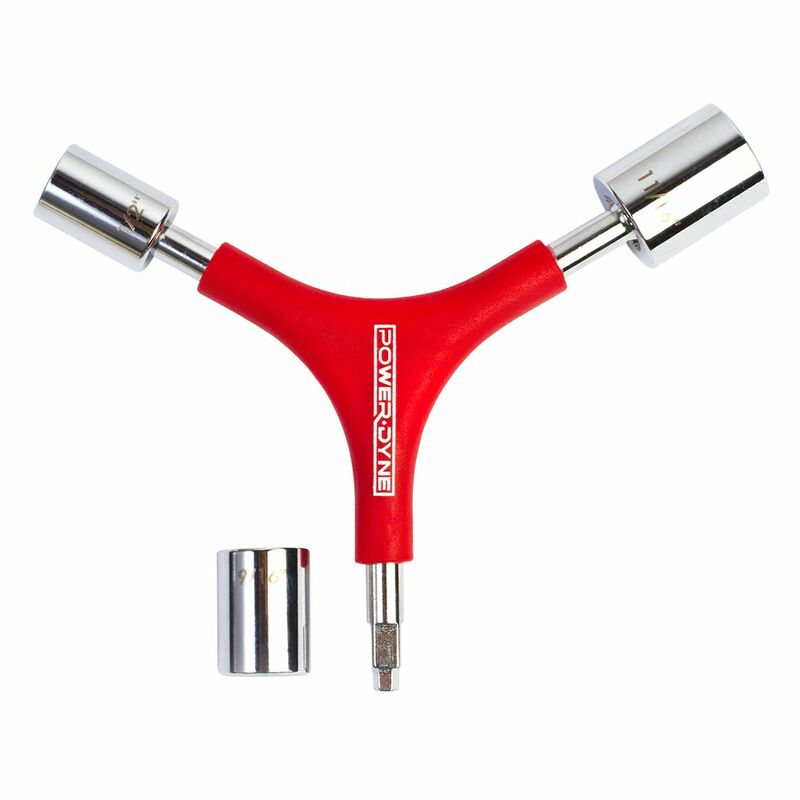 You can put force on this tool, put powerful torque on it with easy handling. 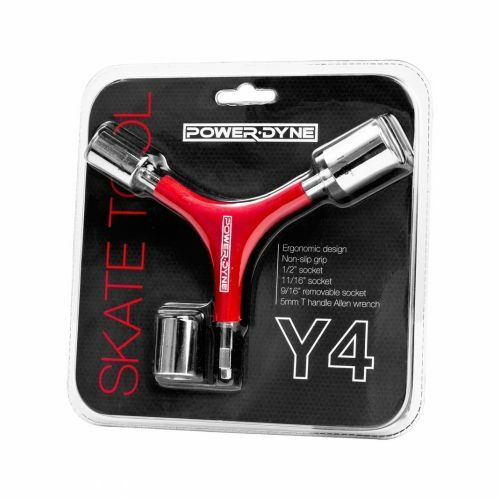 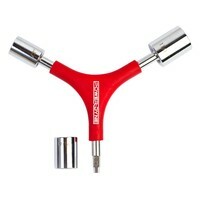 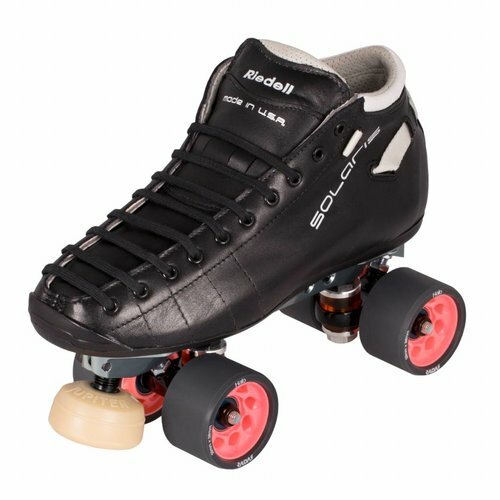 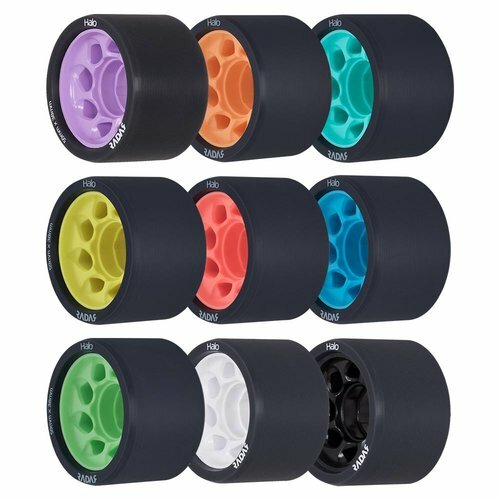 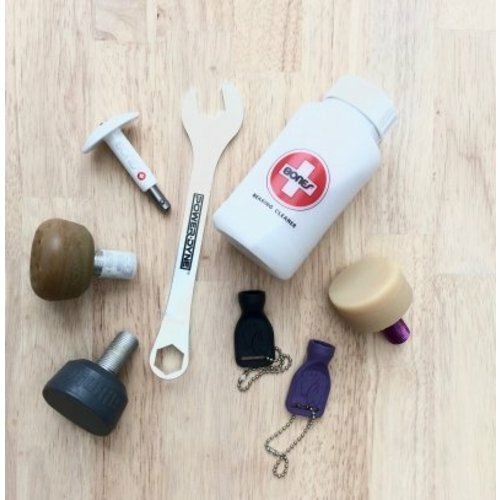 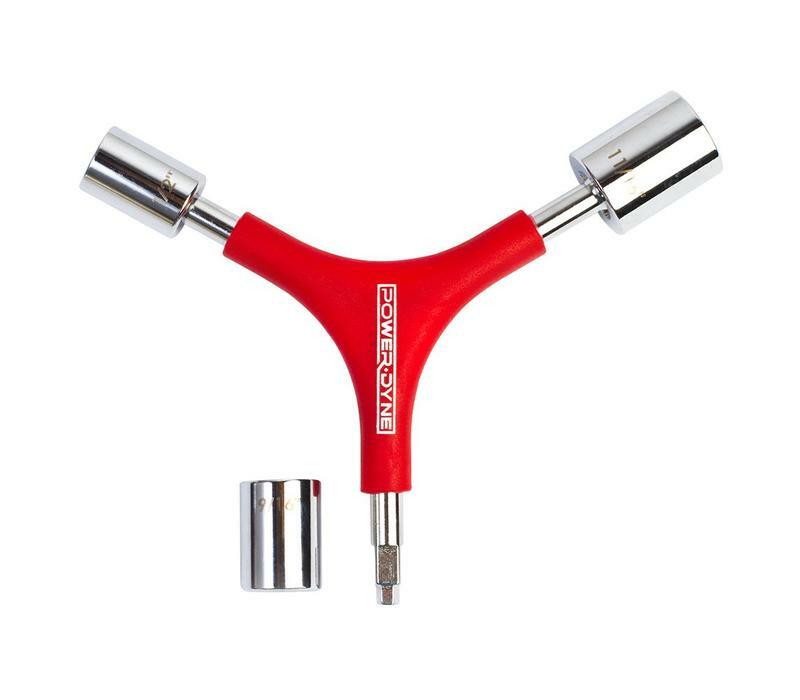 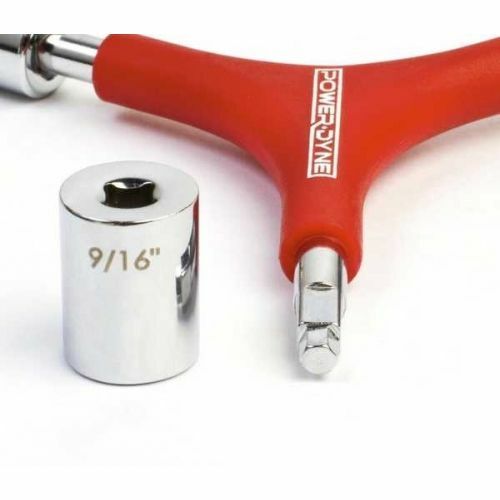 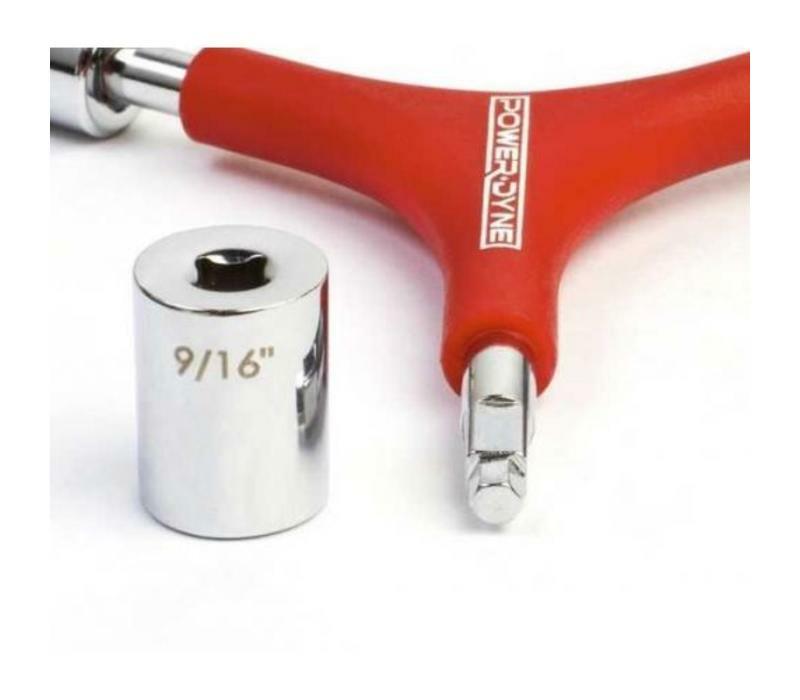 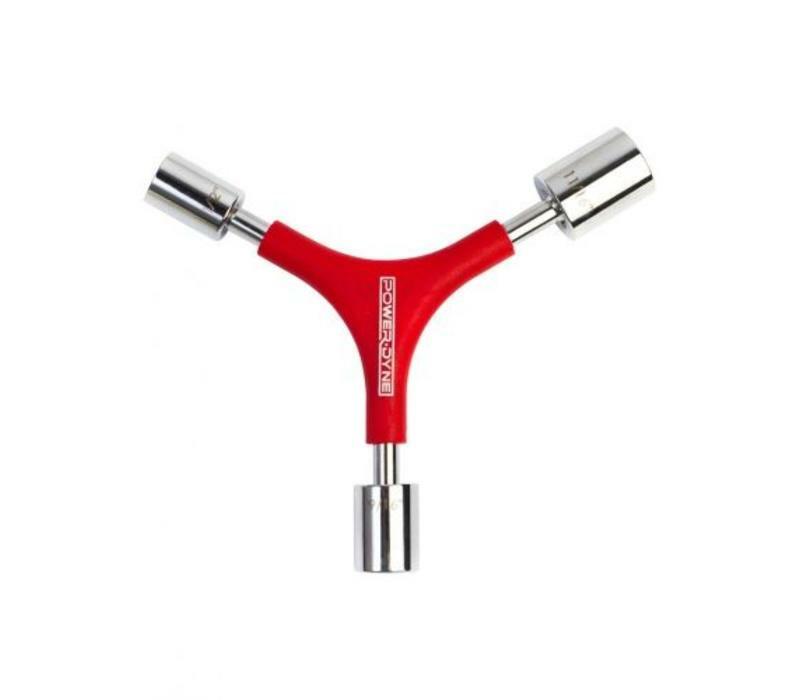 If you're looking for the toe stop wrench for adjusting plates using a nut and washer for toe stops - like most nylon plates (on Riedell R3, Crazy Vibe, Sure Grip Rebel...) - check out the PowerDyne Y3 Skate Tools.